Matt is a born and bred Londoner who was taught from a young age the meaning of family and graft. He comes from a background of business owners with his mother, father and older brother all running businesses of their own. His ethic of hard work and entrepreneurial background saw him operate and run 3 businesses by the age of 30, eventually landing him in his real interest – fitness. Having played as a basketball player in his youth, he then became an accredited Personal Trainer in 2013. Matt fell in love with the industry and the effect his values could genuinely have on peoples lives, culminating in him opening up ‘Pay as you like’ classes in 2015 to the public, which immediately soared in popularity within the community around him. 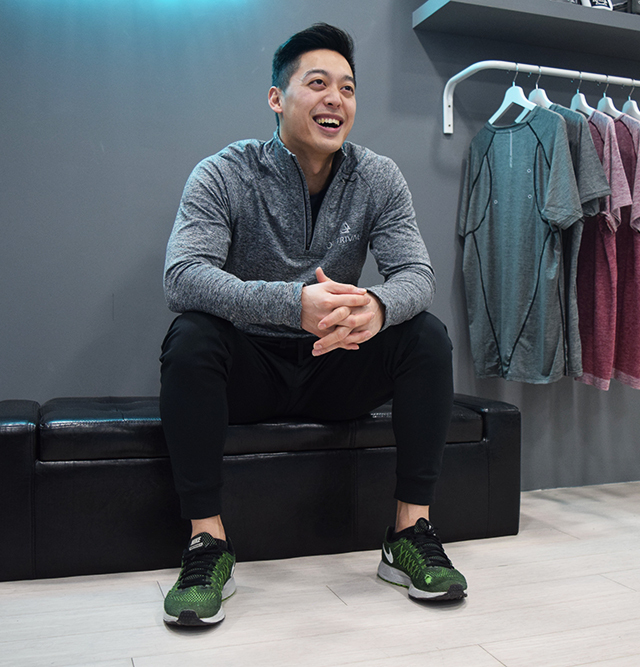 Through this success, and with a big focus on the customer experience, he was driven to open his first boutique gym in 2016. After a hugely successful crowdfunding round, he founded FitMiBODY’s first home in Old Street, London. Since then, after flourishing during the first few years of inception, Matt launched Outrivals to mirror a personal ethos, which is that your greatest rival is yourself. This vision envelops the whole company, from structure to marketing and always comes back to the saying: ‘Be your own hero’. Through hard work and passion, this vision has become a reality through the dedication of the team he has handpicked. They love putting the company’s core values into action for the members – to be personable through exceptional customer service and to be your own hero. Matt believes that to grow is to take risks, make mistakes and to learn from every one of them. He loves to learn and equip himself with skills that will aid him in both his work and personal life. Growing up speaking Cantonese he has undertaken a course to learn the language Mandarin outside of work, potentially aiding further expansion for Outrivals. His vision is to launch Outrivals gym in cities around the globe which aim to bring real communities together. According to Chinese acupuncture, there is a point on the head you can press to control your appetite. It is located in the hollow just in front of the ear.